Madison College’s Ashley Marshall takes a pitch during her team’s doubleheader with College of DuPage on March 31. 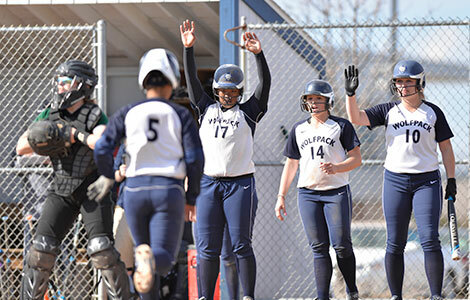 Even with almost half its games left to play this season, the Madison College softball team has already passed one major milestone – it has posted back-to-back 20-win seasons for the first time. A 4-0 victory over Sauk Valley College on April 3 gave the team its 20th win for the season. Last year, the team posted a 22-23 record, its most wins since the team assumed varsity status in 2007. Madison College’s record now stands at 21-9 overall and 6-1 in conference play after splitting a pair of doubleheaders over the weekend. A key to the team’s success this season has been its offensive firepower. After 30 games, the team has out-scored its opponents 230-164. The team batting average is .345 with nine players batting over .300. Madison College has won four of its last six games scoring almost seven runs a game during that stretch. 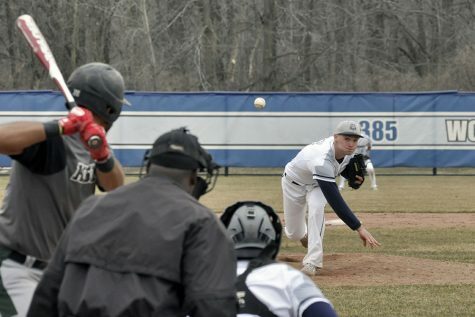 A seven-run fifth inning gave Madison College an insurmountable lead in a 9-3 victory over the College of DuPage in the first game of doubleheader on March 31. Doubles by Breanna Guenther and Nicole Hoffmann keyed the big fifth inning and helped give both players three RBIs for the game. Brianna Smith also had a big game with three hits, including a double, and two RBIs. Courtney Boss pitched the win, giving up two runs on 10 hits in five innings. Jenalee Wilson pitched the final two innings to secure the victory. In the second game of the doubleheader, Madison College scored three runs in the first inning and added just enough scoring throughout the rest of the game to survive a late rally and win, 7-6. Austann Abbott doubled and had two hits to lead the WolfPack, while Sadie Holmes added two hits. Kianna Smith had a key hit that scored two runs in the first inning, when Madison College jumped out to its early lead. Pitcher Ashley Stormer earned the win in relief, giving up three runs on five hits in three innings. Jenalee Wilson pitched the final two innings and earned a save, giving up three runs on four hits. Jenalee Wilson pitched a two-hit shutout to lead Madison College to a 4-0 victory at home over Sauk Valley Community College on April 3. Kayla Crump led the team with three hits, while Breanna Guenther, Nicole Hoffmann and Paige Giese each had two hits. Madison College got a lot more scoring in the second game of the doubleheader, the problem was so did Sauk Valley. Sauk Valley jumped out to a 5-0 lead and scored in every inning as it beat Madison College, 18-8. The WolfPack was out-hit 17-9 in the game. Billie Nolan and Austann Abbott hit home runs to lead Madison College, while Paige Giese added two hits. 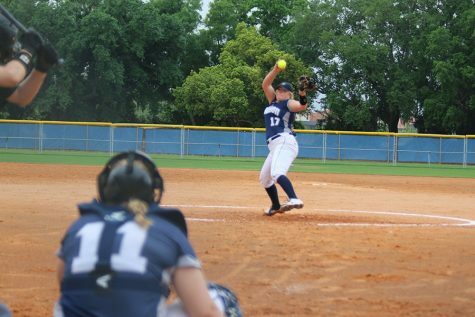 Ashley Stormer pitched the loss, giving up eight runs on eight hits in 3-1/3 innings. Of the 18 total runs allowed by Madison College in the game, only nine were earned due to the four errors the team committed. 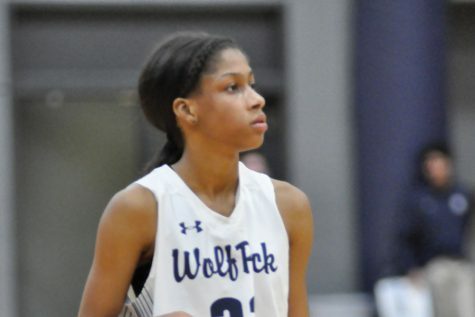 A rare low-scoring game for Madison College resulted in an 11-2 loss in the opening game of a doubleheader with Waubonsee Community College on April 4. Waubonsee scored four runs in the third inning and six runs in the fourth inning to shut down the WolfPack. Madison College was limited to five hits in the game, including a home run by Cheyenne Holmes and a double by Kayla Crump. Courtney Boss pitched the loss, giving up 11 runs on eight hits in 3-2/3 innings. Madison College jumped out early in the second game of the doubleheader, scoring seven runs in the second inning to spark an 11-4 victory. A grand slam by Cheyenne Holmes and a double by Nicole Hoffmann helped key the seven-run inning. Homes later added a solo home run in the seventh inning to complete a three-hit, six-RBI game. Austann Abbott added a solo home run and Kiana Smith doubled to add to Madison College’s 16-hit effort. Jenalee Wilson pitched the win to move her record to 7-2, giving up nine hits and four runs in seven innings.